If you are seeking for a canvas transfer print, then Superchrome is your best choice. 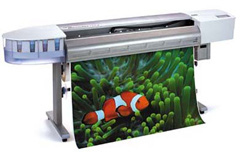 Superchrome, famed as a leading digital printing company, remains the leader in providing excellent canvas transfer prints. Grace your home or workplace interiors with stunning canvas transfer prints, which offer the look of original canvas paintings. Canvas transfer is a process of transferring a poster image or print on to a textured canvas surface. Canvas transfer prints can be made from virtually any print or poster. We help you to transfer your photos, posters, art prints, photocopies, textile embroidery, drawings, books or magazine images, maps or any other image. Our canvas transfer prints are in great demand in museums, art galleries, non profit organizations, hi tech industries, and others. Here at Superchrome, we utilize the most modern technology to give you awesome canvas prints. Depending on your needs, you can make a selection from a variety of canvas materials and sizes you require. We also have the facilities to offer top quality canvas transfer prints with a framing option. You can frame it like an original without glass in front of it. We use only the highest quality canvas, frame, and ink available today. In order to prevent fading and water damage, a special coating is applied to all canvas transfer prints. This print pattern can be unstretched, stretched or mounted. Furthermore, we extend to our valued customers the privilege of custom canvas transfer prints as well. Superchrome offers you the best choices of canvas transfer print at comparatively low cost. Expertise, integrity, and commitment to the client are the factors that make us different from other providers of canvas transfer print. We also do transfer prints on to canvas as giclee prints. Giclee printing utilizes the latest printing technology for a very accurate high quality transfer. If you would like to know more about canvas transfer prints, any of the projects shown or if you want to discuss any project you have coming up then contact us 020 7237 9333 or fax 020 7237 9444 or email sales@superchrome.co.uk. Our experienced personnel would be able to guide you appropriately.